Join us for a half-day workshop on post-harvest considerations in the wash line and packing house. Robert Hadad, Regional Vegetable Specialist, Cornell Vegetable Program will tie food safety practices to the wash-and-pack, covering facility design, product flow, wash techniques and sanitizers, cleaning and more. 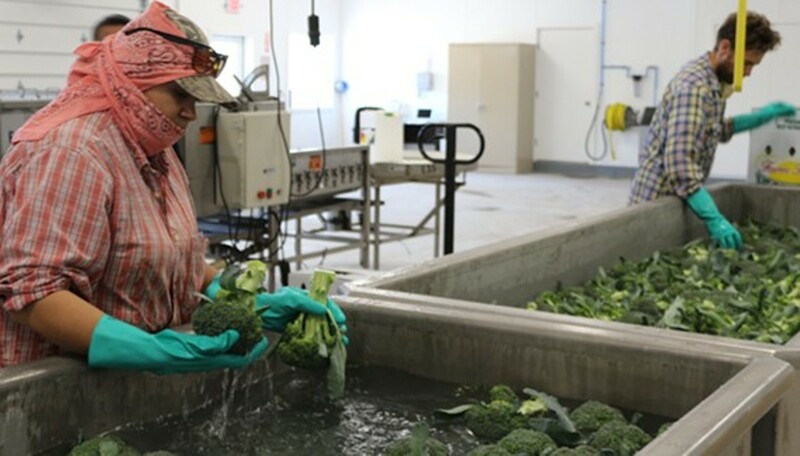 Farm Hub staff will offer a walk-through of our newly constructed wash and pack facility, which features three separate climate-controlled rooms capable of long-term storage of root crops; a brusher-washer and vibrating sorting table; and tubs for hydro-cooling broccoli.